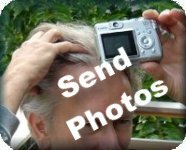 Live in Tampa, FL and wanting a hair transplant? Take a look at Dr. Shapiro's Hair Institute. Home of the $2-3 fu/graft, Dr. Shapiro's Hair Transplant Clinic has provided services to residents of the Tampa area - a reasonable driving distance from his offices in Hollywood. Dr. Lawrence Shapiro offers two modes of hair transplant technology. In addition to the his regular techniques of hair transplantation, he now offers his Accelerated Follicular Restoration™ (AFR™) Program - which accelerates the rate of growth of the transplants. See this hair growth timeline for estimated rates of growth of the new follicles after your hair transplant. In our clinical study patients following the AFR™ protocol, it has resulted in new hairs beginning to grow in 6 weeks to two months, sometimes completely skipping the normal 3-6 month dormancy period after a hair transplant. Here's one of our patients talking about his experience and here are 100's of photos of the clinical study patients. Tampa is known as the home of the Tampa Bay Rays, even though the famous major league team is based in St. Petersburg. Visitors to Tampa will enjoy downtown Tampa's great shopping areas, the Hard Rock Hotel & Casino, Busch Gardens and events at the Florida State Fairgrounds, as well as remember the Super Bowls of 1984, 1991, 2001, and 2009, which were held in Tampa.